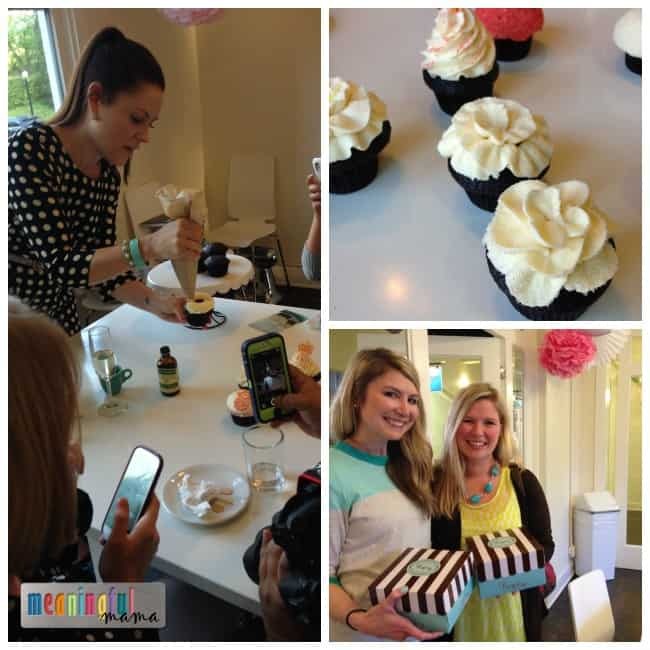 I recently had the opportunity to go to a cupcake decorating class at Trophy Cupcakes in Seattle. 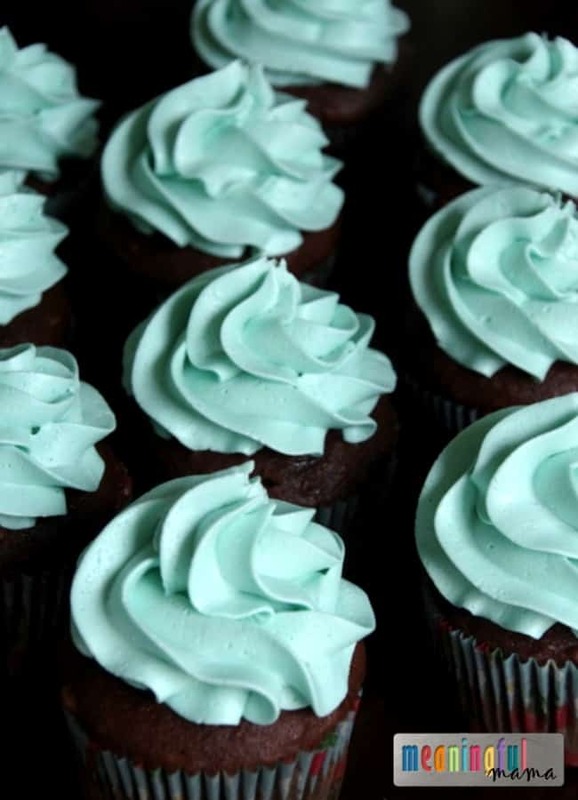 Trophy Cupcakes was founded in 2007 by Jennifer Shea and her husband, Michael Williamson. She quickly became recognized as top in the industry and became known nationwide. Jennifer taught us her basic Trophy Cupcakes buttercream frosting recipe and gave us permission to share the recipe with our readers. Beat the room temperature butter in a bowl until the butter is pale, very smooth, and makes a slapping sound as it hits the sides of the bowl. Add the powdered sugar, one cup at a time, waiting for the sugar to be incorporated completely before adding the next cup. When all of the sugar has been added, scrape the paddle and the sides of the bowl. Add the vanilla and salt, beat on low speed for 15 seconds. The big trick Jennifer taught us was to beat on medium-high for 1-2 minutes at the end. She showed us the difference between the buttercream when it was just incorporated completely vs. adding the air into the mixture by beating for an extended time at the end. The flavor, color and texture were dramatically different. It was a great tip for learning to make a beautifully textured buttercream. I want to thank Jennifer Shea for teaching us her secrets and being willing to let us pass her recipes and tips along to our readers. How many cupcakes will this recipe frost? I’m making 2 dozen for a birthday party an Saturday. Should I double the recipe? I would double it if I were you. I can tend to get 12-16 out of this recipe, but I also am fairly generous with the buttercream. I hope that’s helpful. Enjoy!